You can use the easy ways to decorate bedroom walls to improve the style and mood. When you open the eyes after you sleep for eight hours, you will be impressed with the beauty of the wall décor. Across the bed, you can find a wonderful painting which can remove the bad mood. You can select the traditional, modern, art deco or simple bedroom wall décor depending on the interior design of the bedroom. Here are some easy ways to decide the perfect bedroom walls with the amazing wall hangings. The first thing to decorate the bedroom wall is by using the relaxing painting. It can evoke a fantastic environment in the bedroom. You can bring the tranquility by having a picture or painting which depicts the beauty of nature. 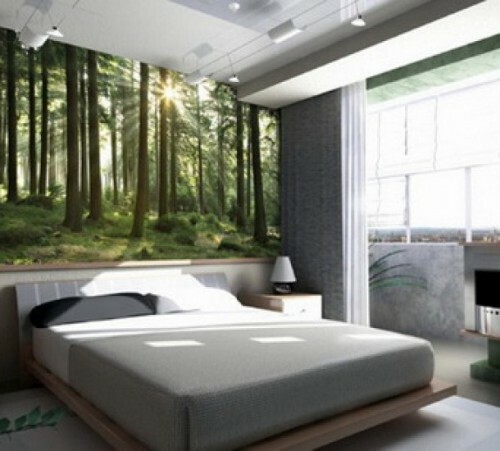 Or you can bring the beauty of the rolling hill inside the bedroom by having the image of nature. 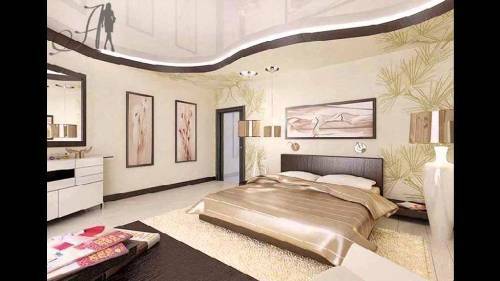 The type of painting that you choose should reflect the interior design of the bedroom. 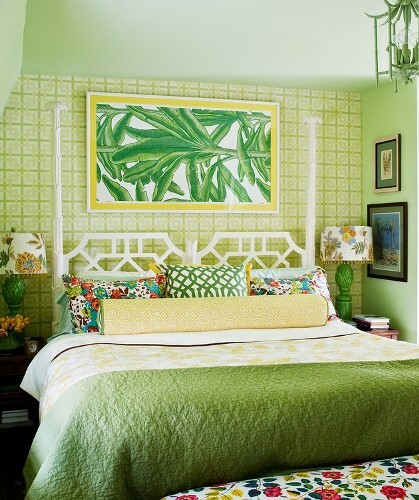 If you have a tropical bedroom design, the painting can depict the beauty of beach or tropical plants. The painting of sunset or sunrise is interesting to spot on the wall. Have you ever considered about the forest painting? It reminds you with the natural beauty. It is filled with green color which can evoke the tranquil look. You can put the forest painting inside the black and white frame for modern impression. The bedroom wall will appear romantic if you set the vintage painting. You can go to the antique store and get the wall hanging which depicts the beauty of the vintage flower. 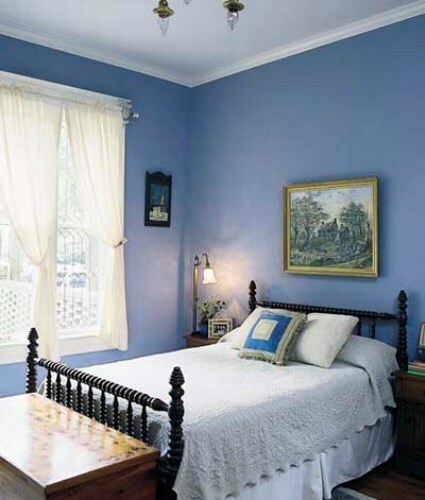 Match it with the antique gold frame to make the painting stunning inside the bedroom. This floral painting is nice to spot inside the bedroom for girls or women due to the romantic and feminine mood. The funky bedroom will never look boring if you have a colorful painting, picture or photo print on the wall. Sometimes the people are bored with the look of their bedroom because of the usage of white color on the wall, furniture, floor and ceiling. Banish it by adding a colorful abstract or striped picture on the wall. The fauna painting is the last way to decorate the bedroom wall. It looks nice to decorate the cottage, English country or even French provincial bedroom decoration. The occupants at home can have the painting which depicts the moose, deer or bear. Find out other tips to make the bedroom comfortable on how to arrange bedroom with a lot of windows. Do you have more easy ways to decorate bedroom walls?